GARFIELD, New Jersey (WABC) -- The office of a New Jersey company that sold hoverboards was damaged Wednesday when two of the devices exploded and caught fire. Police say they received multiple 911 calls reporting a structure fire at Mega-USA Hoverboards on Lanza Avenue in Garfield. According to authorities, two multi-colored 10-inch Smart10 Balance Wheels models were charging inside the office, one on the desk and the other on the floor, when the battery of the one of the floor exploded and caught fire. A dry chemical extinguisher was used to put out the fire, and the occupants left the office. 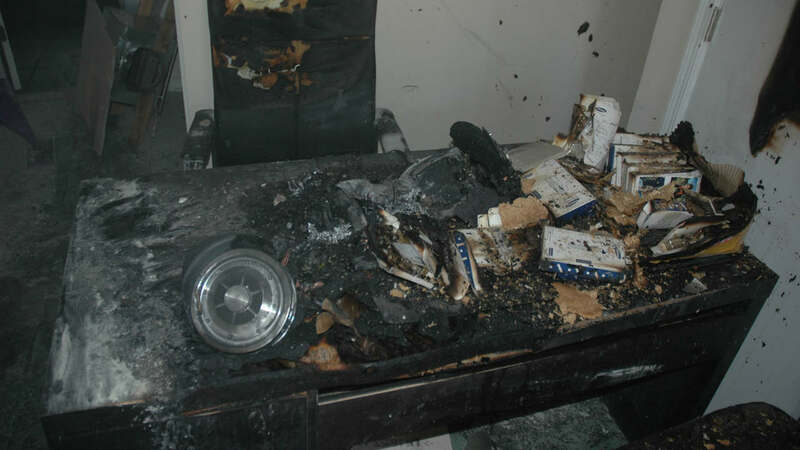 They returned a few minutes later to find the second hoverboard, located on the desk, also on fire. They were unable to extinguish that fire, which spread from the desk to the wall and the couch. Responding officers arrived to find heavy dark smoke billowing out of the front door of the business, and the Garfield Volunteer Fire Department was able to quickly extinguish the flames. Firefighters also ventilated out the smoke.